This Sunday I have a power-packed message, "Winning Big." I don't think I need to tell you that it's Superbowl Sunday. I am going to tell you who is going to win the Superbowl, but you're going to have come Sunday AM to find out. More importantly, you and I will discover how in 5 years we will be winning the biggest battles in life. I have to warn you: It's not what you might think I am going to say. I may just surprise you. The power of God's Word is going to come forward and open your eyes to some deep truth that can change you. 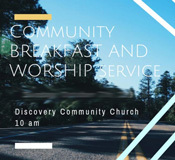 Please don't forget that this is Community Sunday, which means we will be enjoying breakfast together @ 10 AM, followed by worship and teaching! We will start at 10 AM and end at 11:15 AM. I am also super excited about the night of worship a week from today (Friday.) 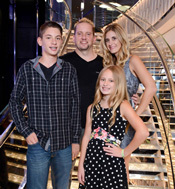 It's going to be an amazing time together. This Sunday, February 3rd 10:00a at Discovery. Wrap up your week in worship and prayer. Our hurried hearts, our scattered minds, our weary souls are longing ... for Jesus! 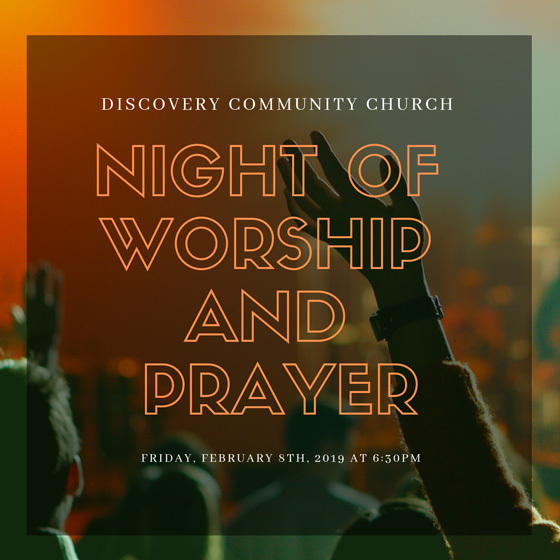 Friday, February 8th 6:30p at Discovery. Childcare is provided.